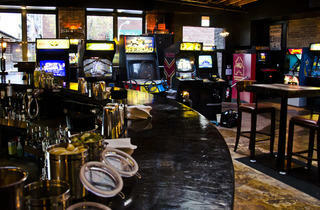 Finally getting in the game, Chicago gets two new bar arcades. 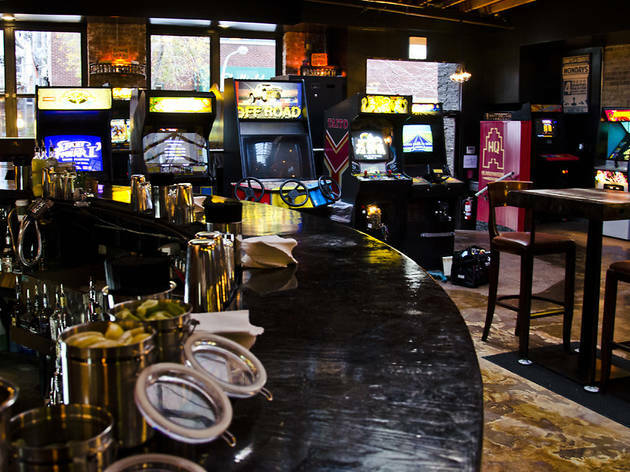 With arcade bars popping up around the country since New York’s Barcade debuted back in 2004, Chicago is way late to this gaming party. 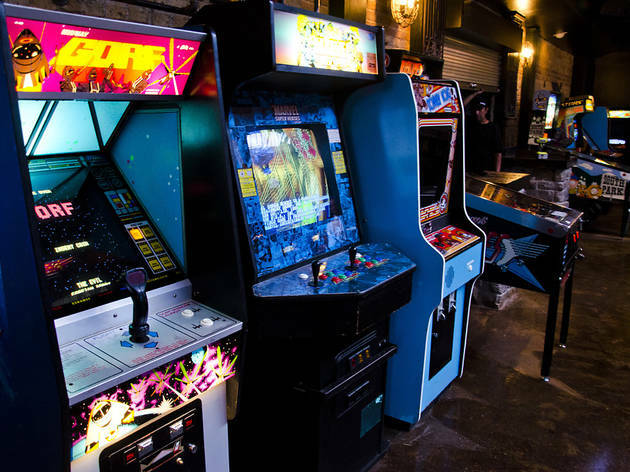 Finally getting in on the action, two new places to get your Pac-Man and pinball on over a pint have opened up in fairly quick succession, and I couldn’t resist giving each one a whirl. Here’s the score. 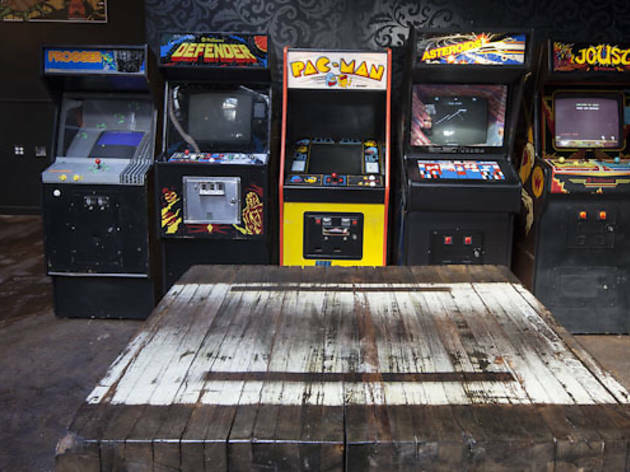 Artfully designed with antique fixtures, comic book–style graffiti and big-screen TVs that were split between Hulk Hogan WWF footage and ESPN on my visit, Headquarters looks the part of an arcade for grown-ups. 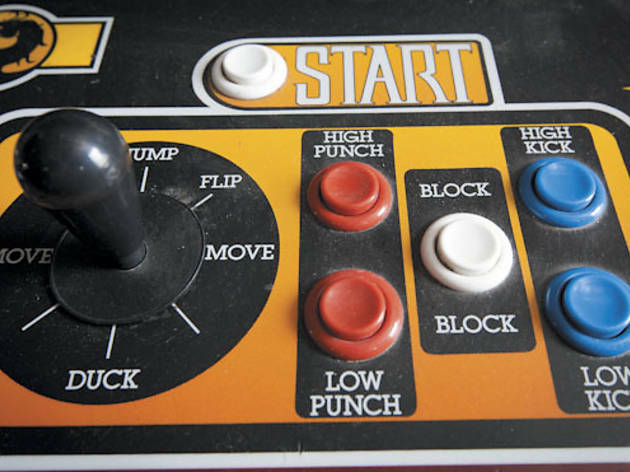 Highlights include tabletop versions of Pac-Man and Space Invaders, Marble Madness, Excite Bike and essentials like Mario Bros., Donkey Kong and Street Fighter II. 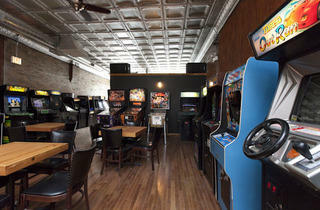 Dubbed a beercade, Headquarters offers 16 exotic drafts, a respectable and eclectic selection of bottles and cans, plus a specialty-cocktail list and midweek drink specials. Beers on tap average $7, cocktails hover right around $9 and, as a bonus, all games are free (for now anyway). Headquarters boasts homemade jerky— evidently the ideal gaming snack—in exotic flavors like buffalo and Korean BBQ, made by chef Chris Cason of Etno Village Grill. 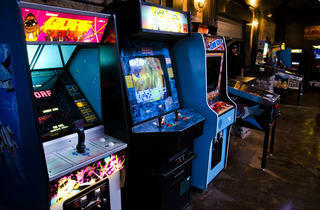 Designed to treat your inner nerd, Headquarters has an attentive staff, great beer and a hip decor. 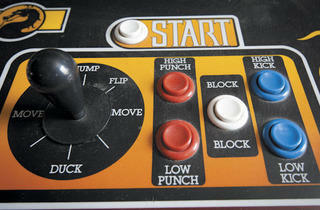 And for anyone as pitiful at the arcade as me, free games are a serious bonus. 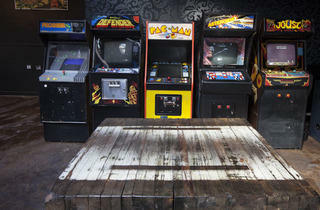 Minimalist in design, Emporium lets the arcade games, the stocked bar and the colorful hipster crowd be the center of attention, feeling more like a bar chock-full of video games than an arcade with booze. Boasting just shy of 50 games, Emporium wins on variety and rarities like Tron, Centipede, Q*Bert, Duck Hunt, Missile Command and Tetris. 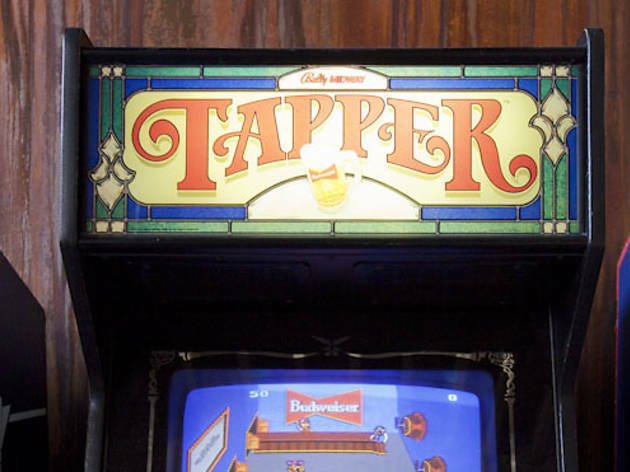 With 25 beers on tap (no cans or bottles) and a full bar that’s heavy on the whiskey, Emporium is as good for a stiff drink and a craft brew as it is for a round of Mike Tyson’s Punch Out. 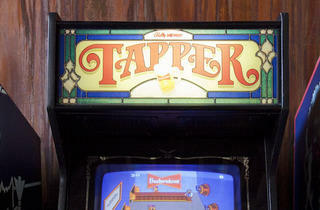 Beers on tap average out at $5.50 and mixed drinks typically go for $7; games take tokens that equal a quarter per play. While not exactly homemade, Emporium’s locally sourced, all natural Gun Slinger jerky comes in unconventional flavors like coffee, honey ginger garlic and whiskey-infused. 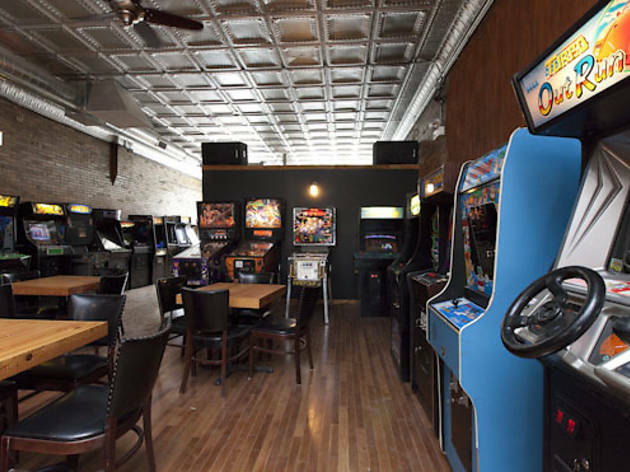 Emporium may not have sunk as much time and energy into its interior, but its diverse selection of games, top-notch booze and hip, good-looking crowd make it a worthy alternative.